Venue says Bar 54’s new Greatest Hits menu celebrates 5 years of cocktails at the tallest rooftop bar in Times Square! 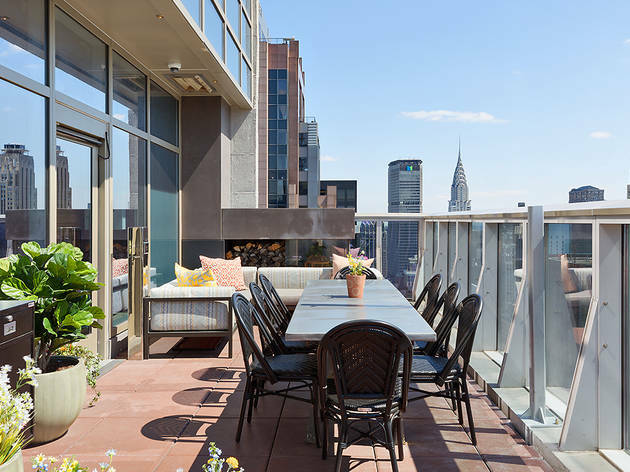 At this 54th-floor bar—New York's highest rooftop lounge—expect cocktails curated by industry veteran Paul Blackwell, as well as global bites (miso-glazed ribs, porchetta sandwich) from hotel chef Nicholas Pelliccione. 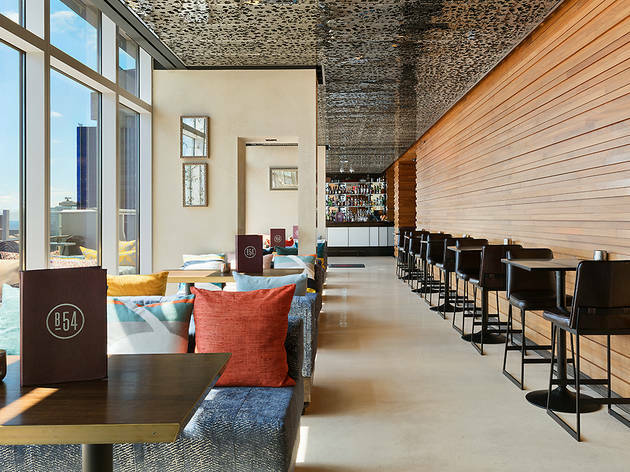 Beneath a laser-cut mirrored ceiling, Blackwell’s team of skilled bartender’s expertly craft cocktails like the Tally Mon (vodka, banana, godiva, frangelico, espresso) and the Long Meadow (aperol, italicus, apricot, pear brandy, lemon, berries). 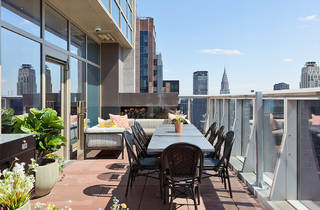 Along with skyline views, the 1,400-square-foot terrace is outfitted with wood-paneled walls, leather banquettes and outdoor fireplaces. 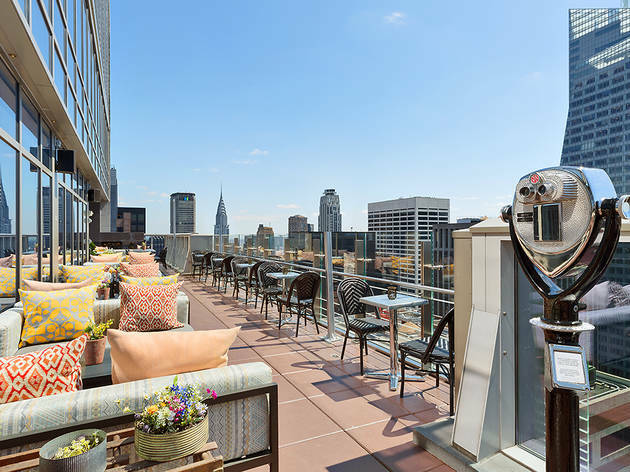 Whether you’re gearing up for a night on the town, winding down from a day of sightseeing or just looking for a spectacular place to enjoy the city, Bar 54 is one of Manhattan's highest rooftop lounges. 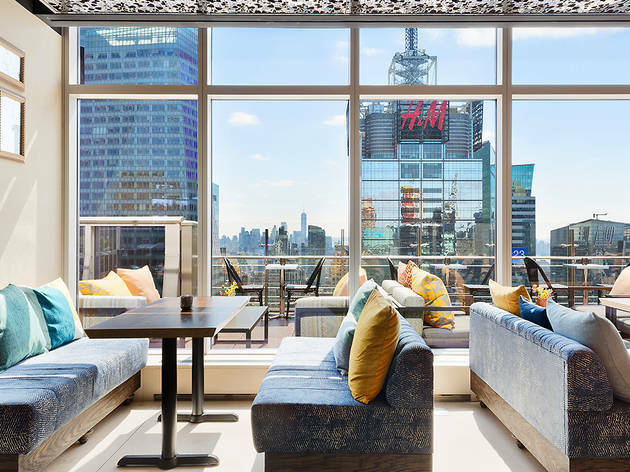 Set atop our 54-story tower, our sky-high rooftop lounge invites you to enjoy extensive views that stretch across Manhattan from the Hudson River to the East River. 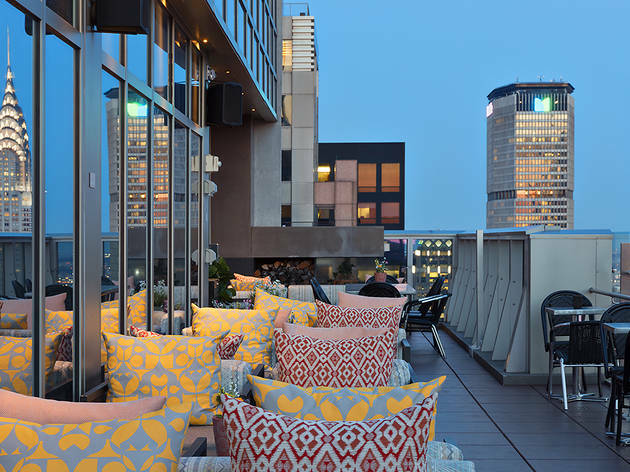 Savor specialty cocktails, fine wines and gourmet small plates while mingling on the outdoor terrace.